The list of co-op games available for a discount price over at Bundle Stars' Bundle Fest 4 keeps growing. Now you can pick up Ryse: Son of Rome for the PC for just $6.79. That's, like, two cups of Starbucks coffee. Ryse was the big flagship release title for the Xbox One when it arrived in November 2013. The title is set in Roman times with players assuming the role of Marius Titus, who joins the Roman Legion to avenge the death of his family. 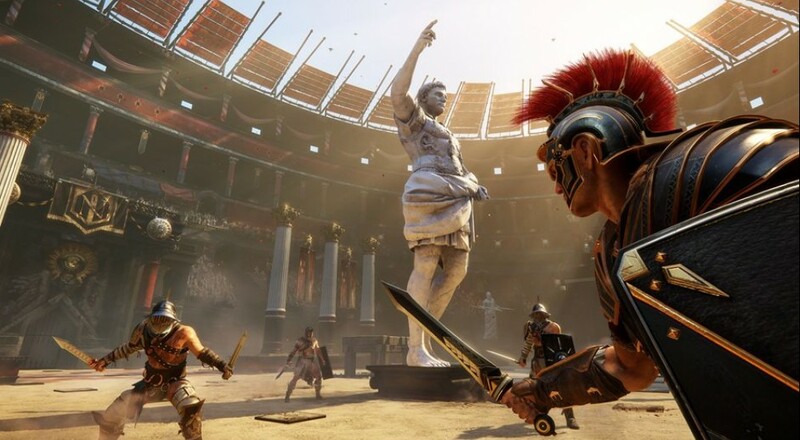 The co-op Colosseum mode allows two players to team up online to battle through a gladiatorial arena and work together to keep the crowd entertained. This special sale is for a limited time only (it ends 2:00 AM EST on Saturday, January 23), so head on over to the Bungle Stars site to pick it up. Ryse: Son of Rome Filled with Microtransaction "Goodness"
Page created in 0.2472 seconds.